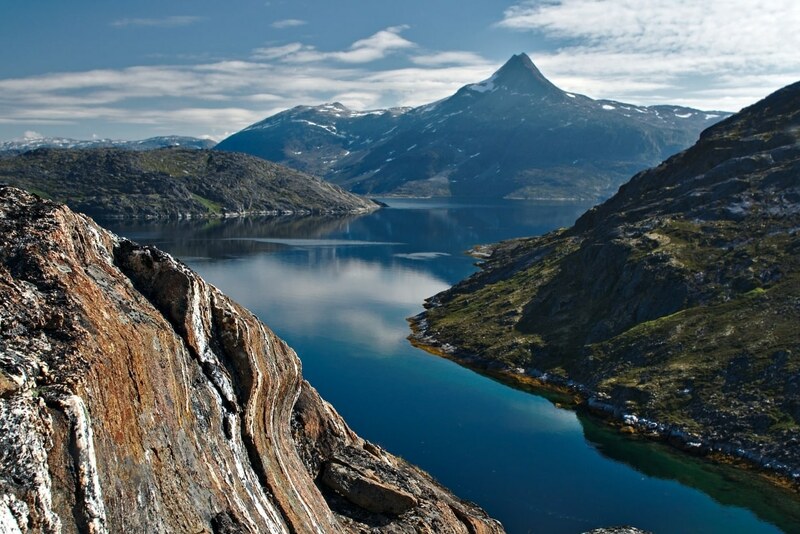 Be charmed by marine life in the sea, which brings much pleasure to travellers in Greenland. 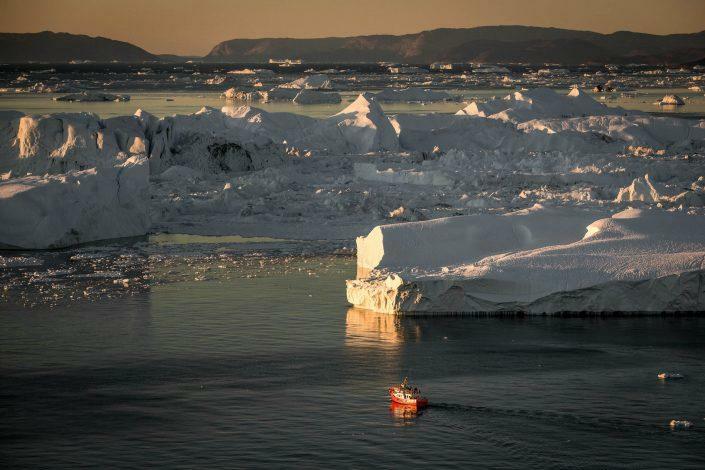 In Greenland’s waters, there are many chances to break the silent calm of the sea. It might be an iceberg turning, an excited yell as a fisherman reels in his catch, or a whale spouting air from its blowhole! 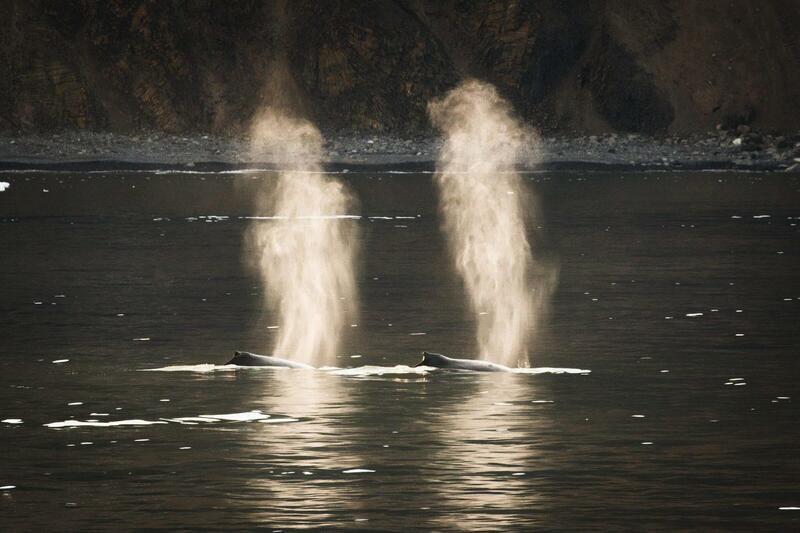 Greenland’s waters are teeming with sea life, which in turn attracts the largest mammals in the world: whales. If you are closeby, fine-tune your ears and you might hear the ‘whoosh’ of the whale spouting before you see it. The powerful spray of air expelling from the whale brings much excitement to onlookers; as does the classic sign of the whale tail which flips up as it dives deep into the ocean. Greenland’s waters are teeming with sea life, which in turn attracts the largest mammals in the world: whales. 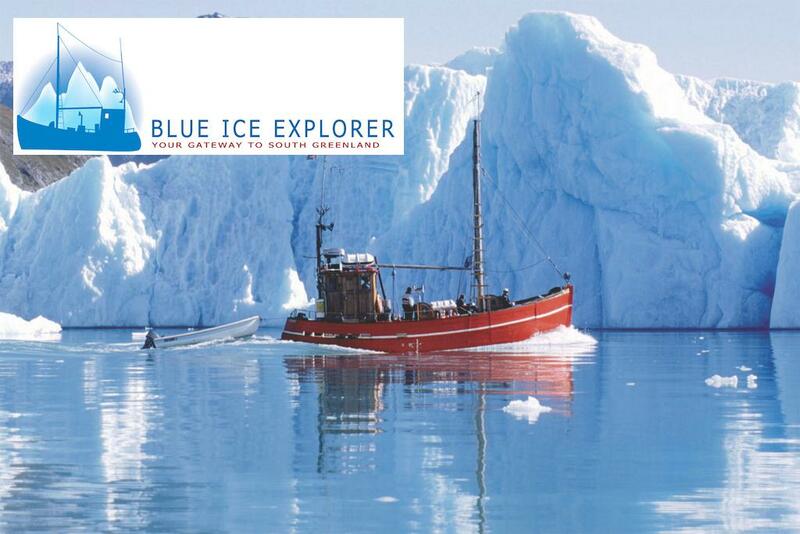 A sailing tour in any part of Greenland will bring its own unique experiences. From Tasiilaq in East Greenland to Narsaq in the South, Uummannaq and Disko Bay in the North and Sisimiut and Nuuk in West Greenland, there are chances of spotting more than 14 different types of whales in these Arctic waters. The rare bowhead whale, fondly dubbed the Greenland whale can sometimes be spotted in Qeqertarsuaq. “Disko Bay is fantastic for whale watching, any time of the year. In the winter there are bowhead whales, in summer humpback whales, fin whales and minke whales,” says Fernando Ugarte, Department Head for Birds and Mammals at the Greenland’s Nature Institute. “Also, if you go there between February and May, you will have a very good chance to see beluga whales. There are not many places in the world where you can see them from the shore. 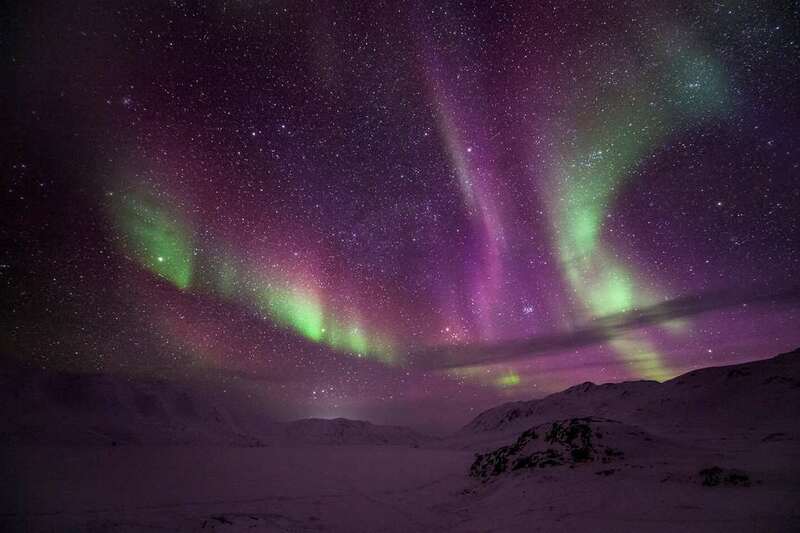 It is also possible in Barrow, Alaska”, said Ugarte. Recreational fishing is done with hooks without barbs, anglers may only take the fish they can eat on the trip, and all living catches must be released again. All river fishing requires a valid license, and this costs DKK 75, for a 24 hour period and DKK 200, for a week. You can pay for this at the local post office. Ugarte’s department at the Nature Institute helps the Government of Greenland to monitor and collect data from whales. It also aims to ensure that the Inuit’s traditional hunting of whales is sustainable and not endangering any of the population. Whale watching should also be done with consideration of these dinosaurs of the sea. 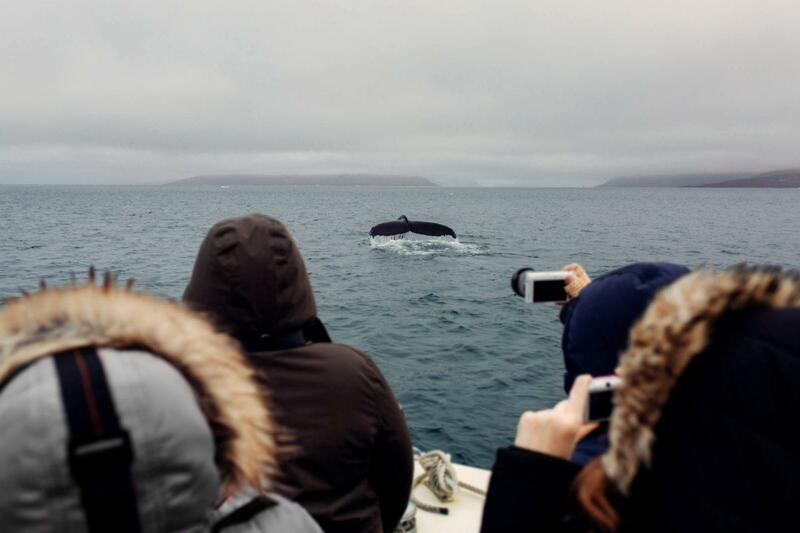 In conjunction with Visit Greenland, the Nature Institute introduced Whale Watching Guidelines in order to optimise the experience for both tourist and whale. Guidelines include slowing down a boat to ‘no wake’ when within 500 metres of the whale, and not actively moving closer than 50 metres to the whale. One must also go with a licensed boat operator. The ‘fruits of the sea’ lie beyond whale watching, and many sports fishing enthusiasts who try their luck in Greenland are hooked for life. The thrill of catching fish, whether it is deep sea or river fishing is often complemented by the peaceful surrounds of Greenland’s mountain peaks and often calm water vistas. Sail a little, and you will easily find a pocket in the nature where you are the only humans at bay. One can go deep sea fishing and take the challenge of catching fish such as halibut, cod, wolf fish and red fish. Depths can be as deep as 800 metres, and fish caught can be as heavy as 14 kilograms. Good months to fish are during the summer months of June to September, where you can also watch icebergs in all shapes and forms float by. In some areas like Tasiilaq, Disko Bay or Kangerlussuaq you can also try your hand at ice fishing in the wintertime! You can also have a go at angling for arctic char by a river. Struggling with this determined fighter is a popular hobby for locals, which makes it all the more tasty when it is cooked for dinner. River fishing usually involves sailing a little away from town, and then hiking through the fells to reach special waters where the char are skipping upstream. By the time you get to your destination you will be rosy-cheeked from the fresh air. The right hooks and fishing gear are important for success, but it is also possible to go hand-fishing for resting char who are hiding in the stream’s nooks and crannies. A comprehensive Greenlandic concessions act is underway, which will ensure the quality and uniqueness of these products in the future. Currently, the only concession area is the Ilua river and lake system where you can go fishing and spinner fishing. 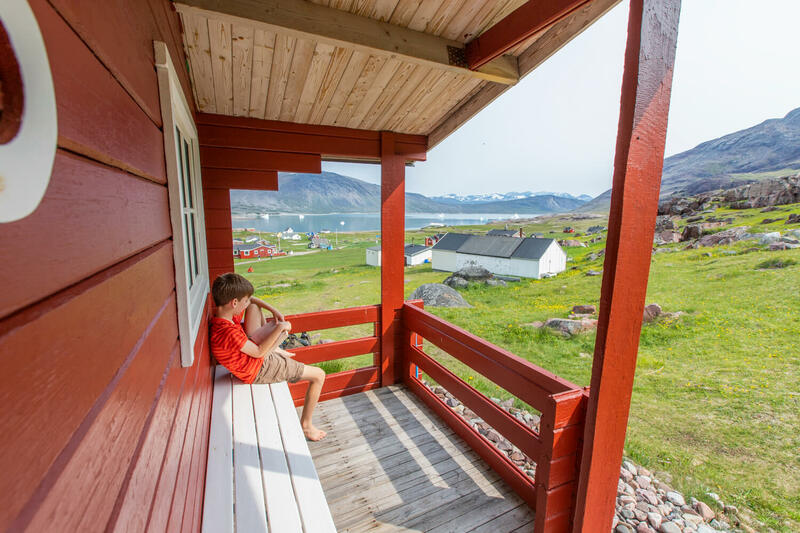 It is owned by Ipiutaq guest farm, a sheep farm lying by a river in the spectacular nature of South Greenland. Here at this place, you can also try tasty ‘gravad char’, hand-prepared by your hosts. Are Greenland’s waters calling you? There are so many water adventures to be had in this giant island and we’re sure that if you’re a nature lover, you’ll find something that will excite you.